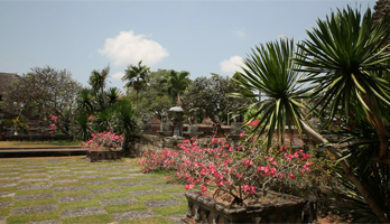 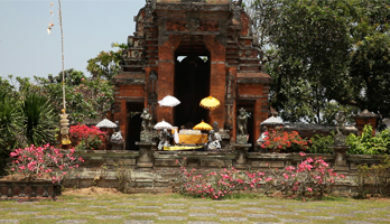 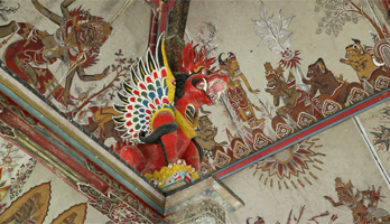 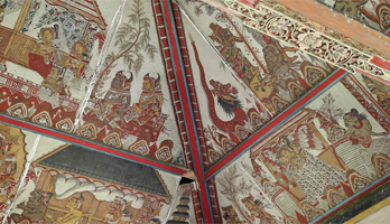 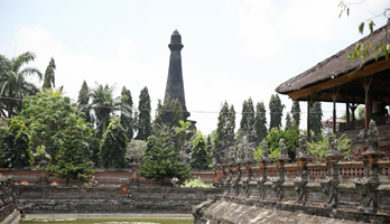 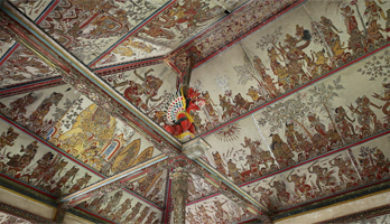 or The Klungkung Palace is a historical building complex situated in Semarapura, the capital of the Klungkung Regency(kabupaten) on Bali, Indonesia. 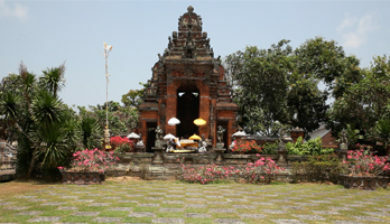 The palace (puri) was erected at the end of the 17th century, but largely destroyed during the Dutch colonial conquest in 1908. 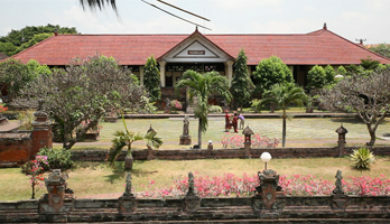 Today the basic remains of the palace are the court of justice, the Kertha Gosa Pavilion, and the main gate that bears the date Saka 1622 (AD 1700). 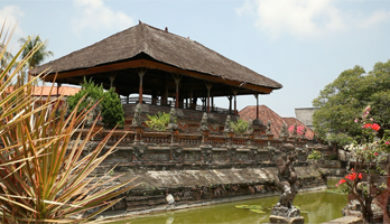 Within the old palace compound is also a floating pavilion, the Bale Kembang. 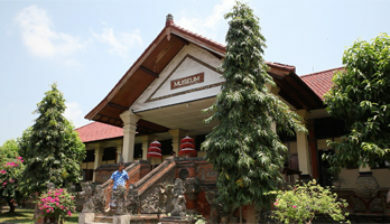 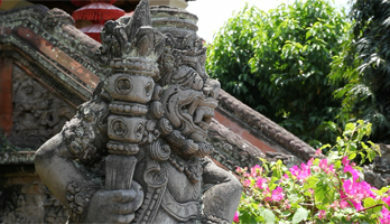 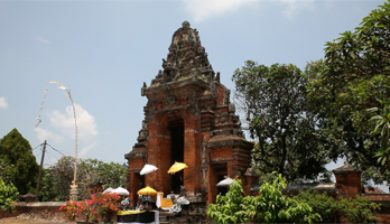 The descendants of the rajas that once ruled Klungkung today live in Puri Agung, a residence to the west of the old palace, which was built after 1929.